(2.6m shares buyback April ) Philip I have never bought lousy counters thrown away by shell to China companies before, or near bankrupt heavily in debt mergers like sapura. But I often read on the company in i3, and especially certain select individuals who say it is worth rm35 - rm45. Then quickly change their tune when it turns out their prognosis was incorrect to begin with. Despatch boys and accountants are always like that, they can always give you whatever delivery time you want ( or intrinsic value you can dream of) without putting in the reality of the acting on that promise. I bought PCHEM for the value of it's existing business at rm8.15, not only for it's future valuations, which if comes is wonderful, but if it doesn't come, I can still enjoy 3.9% dividends@50% earnings. You on the other hand, buy loss making companies like sapnrg and talamt hoping that the future will come save you. ...u soh soh like Philip advice u to buy Hengyuan when it fall at Rm 11.00 to Rm 12.00....u will end up bankrupt loh...!! This is bcos the fall is not so little loh....!! stockraider OK LAH...U WAIT 1 OR 2 MTH MAH....!! I REMEMBER, RAIDER SAY LARI KUAT KUAT WHEN HENGYUAN HIT RM 13.00...BUT THEN WITHIN PERIOD OF TIME ABOUT 2WKS, HENGYUAN DID REBOUND TO RM 14.00 TO RM 16.00....AFTER THAT IS HISTORY LOH....!! TODAY U CAN CHECK HENGYUAN PRICE MAH....!! RAIDER NEVER BLUFF U LOH....!! Stockraider, u r not doing a very good job leh. After bad mouthing so much, price drop not even 2%. Please step up your effort la. stockraider THE OPPORTUNITY TO BUY IS WHEN THE RM 1 BILLION FIRE & EXPLOSION LOSSES IS OUT HITTING THE P&L OF PCHEM MAH....!! PEOPLE WILL PANIC UNTIL THEIR FATHER & MOTHER DON RECOGNISE LOH..!! (2.6m shares buyback April ) Philip Totally agree! I usually wait until Westerly earnings come out before making my choice. stockraider NOT TRUE LOH....JUST SMALLISH HYFLUX COLLAPSE BRING DOWN MAYBANK TO ITS KNEES THE SHARE PRICE CRASH FROM ABOVE RM 11.00 TO RM 9.00 LOH...!! MAYBANK EXPOSURE TO HYFLUX ONLY ABOUT RM 400 MILLION ONLY MAH....!! BTW MAYBANK PROFIT IS ABOVE RM 7 BILLION A YR LOH...!! titus raider...u say lari kuat kuat at 13 meh? I remember at 18 or 19 your still promoting buy oh....and say will reach 42 leh......am i smoking o u r the 1 smoking???? stockraider NOT TOMORROW LAH....U MUST GIVE TIME LOH....SAY 2 TO 3 MTHS FALL OF RM 2.00 NOT UNREASONABLE LOH...!! Remember even b4 the explosion occur the management guidance is negative & pessimistic loh....!! "Even though management’s market guidance for 1QFY19 was bearish, we remain sanguine given that the group’s product prices have a strong correlation to Brent crude oil prices which have risen by 37% since 31 Dec 2018 to US$71/barrel currently." "This will be a greater impact to the group than temporary delays in RAPID commencement as a 1% increase in average product prices will translate to a higher 3% rise in net profit." THAT MEANS WITH THE FIRE & EXPLOSION JUST NOW, THE MANAGEMENT PESSIMISTIC GUIDANCE IS A FOREGONE CONCLUSION LOH....!! 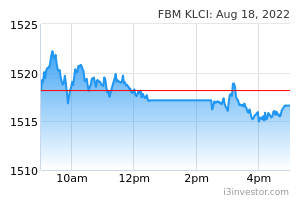 THE OPPORTUNITY TO BUY IS WHEN THE RM 1 BILLION FIRE & EXPLOSION LOSSES IS OUT HITTING THE P&L OF PCHEM MAH....!! raider...u say lari kuat kuat at 13 meh? I remember at 18 or 19 your still promoting buy oh....and say will reach 42 leh......am i smoking o u r the 1 smoking???? stockraider NOT CHEAP MAH....WHY U WANT TO DO THAT LEH ?? DON FOLLOW BAD FOOTSTEP OF PHILIP, GO & BUY INTO AOKAM & RENONG ,WHEN HE THOUGHT VERY CHEAP WITH LEVERAGING LOH....!! IT IS VERY DANGEROUS MAH....!! mamatede Please drop more la pchem like what stockraider prophesize. I will gladly buy more. stockraider IT IS NOT HYFLUX....IT IS THE IMPACT OF SMALL LOSSES ON HYFLUX....THAT THE BUSINESS AFFECTING GIANT MAYBANK MAYBANK SHARE PRICE MAH....!! SAME LAH....THE LOSSES OF RM 1 BILLION FROM FIRE & EXPLOSION IS TO PCHEM IS ACTUALLY IS SMALL....BUT IT WILL IMPACT THE SHARE PRICE ALOT LOH....!! aiyar good luck with your SAPNRG lah... if you don't like PChem no need come here attack it ! stockraider We are talking of science & u refering geography....u r a bad student loh.....!! Why raider kepoh in pchem leh ?? To save naive soul, that thought pchem can buy & thought very cheap bcos of the fire incidence loh....!! Heavenly PUNTER HAHAHAHAHHA Yealah Malaysia is rich because of Petronas After All! stockraider This fellow Mentally retarded loh...!! Better buy Saprng mah! Now only 33 cents! Later go down to 20 cents can buy more mah! If Saprng drop to 11 cents then average down loh! This fellow Mentally retarded loh...!! stockraider Why u need to curse leh ?? Now Pchem Rm 8.84 mah....if u don go n buy now or u have sold now...even if u buy back at Rm 8.20 later...u still saving yourself from losses loh...!! Use your logic & think mah...!! (2.6m shares buyback April ) Philip Yes... Everybody was a stockraider once. Luckily once is enough. Over and done with. Whole stockraider continue to put money into counters like talamt and sapuranrg and make fun of me investing in gkent and pchem and STNE. I keep making money, and I try to look forward. stockraider gkent i bought even earlier & lower than u mah...!! Raider never laugh at ur gkent loh....!! Yes... Everybody was a stockraider once. Luckily once is enough. Over and done with. (2.6m shares buyback April ) Philip Despatch accountants are very funny these days. My top 3 is already 60% of portfolio. Top 5 is around 80%. I'm very concentrated, remaining 20% is split over my other small small picks. PCHEM is not a big one for me. Its not a matter if you are concentrated or not, its what style suits you, i wrote something on diversification. Choivo boy, although I might be younger than you... Concentration is key here! Don't spread and go all over the places... You might want to wait for the official announcement made by Petronas first.. Because then it might drop lower... No point having 50 stocks in your portfolio... You are just going to dilute away all your returns and good ideas! If you can find a good company, you sure can identify the better ones or even the best! (2.6m shares buyback April ) Philip Truth. Reeeeeeaaaaaaaallllyyyyy long article little boy. (2.6m shares buyback April ) Philip this on the other hand is a very very old hand. I also have the same reasoning in why I dont invest much in smallcaps like rce and opensys etc. Junichiro Hi Jon, I notice that u have Petron in yr portfolio. What puzzle me is why do u invest big time in a company with little liquidity? Most of the time, the seller is at the mercy at the buyer. When I was very young, I bought shares in a company which has little trading. When I wanted to sell, I found a big gap between the buyer price n seller price. My senior advised me not to trade in illiquid shares. That was my first lesson. Heavenly PUNTER luckily no one injured... just one personnel sustained some minor scratches... Human Capital very expensive phew luckily! stockraider If u want to get rich...u must not mess yourself with big cap loh...!! Good smaller cap like opensys, sapnrg and insas much more safer loh..!! A good example...is Pchem...not doing well at all loh...even insas which people depise also beat it flat loh...!! With bad news still not at full blast yet...u cannot imagine what the share price will be in 2 to 3 mths time loh...!! (2.6m shares buyback April ) Philip Like I said, still under construction, the risk is borne by contractors and installers. We refer to the fire incident that occurred on 12 April 2019, at approximately 1:25 a.m. at Pengerang Integrated Complex (PIC), Johor. The said incident has no financial or operational impact to our current business. This announcement is dated 15 April 2019.
mamatede really lucky picked so much up when 8.8... stockraider please do your job more. titus Where is raider? putting out fire in Sape???? titus Huh? Talam delisted meh? Last i check still trading leh. I no buy talam la but i dun think he sink in talam la. MrPotato88 Will they be having another plant turnaround this year ? mamatede My friend in Rapid say the damage is contained for that package only which is package 2 by Sinopec, is not the whole RAPID exploding. They have currently place order for the long lead items that are damaged. Which may takes 6-12 months additional. Mechanical works such as piping and structures are easy to replace, but machines, valves ,etc. may be longer. Looking beyond that, you have other packages which is still progressing as we speak. So far no financial impact on Pchem as the whole construction works are insured and the whole O&G industries are insured thats why they have all sort of procedures in place to ensure insurance continuing covering them. Example they have safety audits, procedures, etc. Remember 50% Aramco, 50% Pchem the risk is even lower. Just to share to those shallow speculators that do not understand the industries and merely reacted on news. But buy on dip. That's your entry opportunities. Another thing to remember is upstream O&G bodes well for increasing oil price (Example of upstream hibiscus, carigali, just to name a few players) and downstream when lower oil price translate to lower feed stock price. Thats why big O&G players have a balance portfolio of upstream and downstream to balance out their weaknesses.